World Jewish Travel (WJT) is excited to offer cities, provinces, countries and NGOs the opportunity to use its innovative tourism technology and benefit immensely from our advanced digital tools for FREE. In order to take advantage of this offer, our partners are solely required to provide us with information and content regarding their local Jewish cultural heritage. This is a unique opportunity for cities, provinces, countries and NGOs to share in the revenues of the Jewish cultural heritage tourism market, estimated at over a billion dollars a year. In addition, we are happy to offer our partners a White Label opportunity for a small supplement fee. White labeling will allow our partners to rebrand the WJT platform under their name, saving great money on design, development and maintenance. World Jewish Travel is an initiative by the World Jewish Heritage Fund, a non-profit organization aimed at preserving Jewish Cultural heritage and promoting Jewish cultural travel by using cutting-edge technology. You can read more about the WJT initiative here, and about the WJH Fund here. 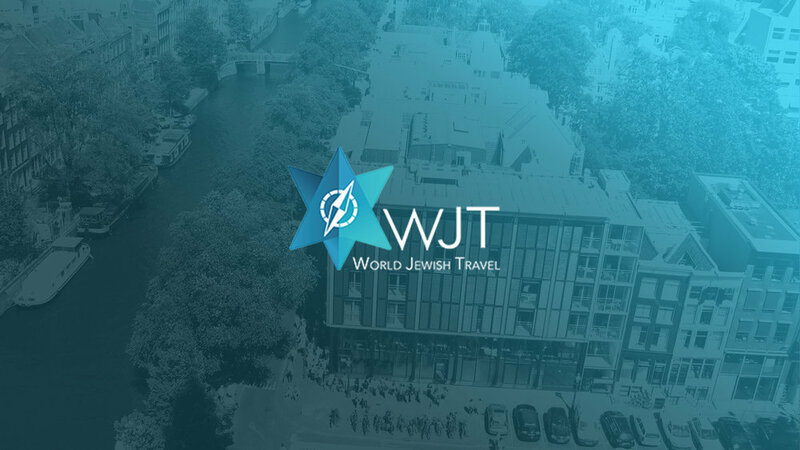 The WJT platform (expected launch: Sep 2017) is an innovative gateway for travelers to discover Jewish culture and heritage, anywhere around the world, with curated reliable information about sites, events, trails, Jewish tours, guides, nearby hotels, and other tourism services, alongside free access to the biggest collection of Jewish Travel eGuides. The highlight of our platform are the City Pages; designed to grant our partners the opportunity to promote their local Jewish culture, attractions and events, as well as to support local businesses and service providers. We invite and encourage municipalities governmental organizations and NGOs from all around the world to become our partners in this unique initiative that will redefine Jewish travel as we know it. The Future of Jewish Travel starts now. Don’t miss your opportunity to be a part of it!